Many of the most inspiring documents are strongly associated with a date. The U.S. Declaration of Independence was signed on July 4, 1776; Charter 77 emerged in January 1977; Dogme 95 was crafted in 1995. Ideas transform and develop over time. This manifesto represents a snapshot of our ideas, visions for the future, and what we have learned to date about learning and education. This text serves as a reference point to help us understand how we’ve done so far and what actions we need to take next. “The future is already here – it’s just not very evenly distributed” (William Gibson in Gladstone, 1999). The field of education lags considerably behind most other industries largely from our tendency to look backward, but not forward. We teach the history of literature, for example, but not the future of writing. We teach historically important mathematical concepts, but do not engage in creating new maths needed to build the future. Moreover, everything “revolutionary” taking place in learning has already happened at different scales, in bits and pieces, at different places. The full impacts for ourselves and our organizations will be realized when we develop the courage to learn from each other’s experiences and accept the risk and responsibility in applying a futures orientation in our praxis. 1.0 schools cannot teach 3.0 kids. We need to redefine and build a clear understanding of what we are educating for, why we do it, and for whom our educational systems serve. Mainstream compulsory schooling is based on an outdated, 18th century model for creating citizens with the potential to become loyal, productive factory workers and bureaucrats. In the post-industrial era, this should no longer be the end goal of education. We need to support learners to become innovators, capable of leveraging their own imagination and creativity to realize new outcomes for society. We do this because today’s challenges cannot be solved through old thinking. And, we are all co-responsible for creating futures with positive outcomes that benefit all people in the world. Don’t value what we measure, measure what we value. In our obsession with testing, we have somehow allowed the OECD to become the “world’s ministry of education” through the PISA regime, and the cult of educational measurement is spreading throughout the world. At a national, state-to-state level, it is as if we are competing to be the best-looking kid in a humdrum family. Even worse, our schools are producing politicians and policy leaders that do not know how to interpret test scores. The best innovations are often killed the moment we start worrying about measurement. We need to put an end to compulsory testing and reinvest these resources into educational initiatives that create authentic value and opportunities for growth. If “technology” is the answer, what was the question? We seem to obsess over new technologies while having little understanding of what they’re for or how they can impact learning. Technologies are great for doing what we have been doing better, but using new technologies to do the same old stuff in the classroom is a lost opportunity. Black boards have been replaced by whiteboards and SMART Boards. Books have been replaced by iPads. This is like building a nuclear plant to power a horse cart. Yet, nothing has changed, and we still focus tremendous resources on these tools and squander our opportunities to exploit their potential to transform what we learn and how we do it. By recreating practices of the past with technologies, schools focus more on managing hardware and software rather than developing students’ mindware and the purposive use of these tools. Digital skills are invisible, and so should technologies be in schools. Invisible learning is a recognition that most of the learning we do is “invisible” – that is, it is through informal, non-formal, and serendipitous experiences rather than through formal instruction (Cobo & Moravec, 2011). It takes into account the impact of technological advances to enable the invisible spaces to emerge – but, like the spaces, the use of technologies is likewise invisible and fluid. If the challenge for our schools and governments is to create students that stand out in creativity and innovation, and not students that mindlessly memorize and repeat old ideas, any use of technologies for learning must enable these creative and innovative directions. Schools should not use computers to “do work” around preassigned parameters with prescribed outcomes; they should be used to help design and create products and learning outcomes that extend beyond the imagination of the curriculum. Rather than putting technology in the forefront and obscuring learning, make it invisible yet ambient, enabling learners to discover their own pathways for development with these tools. We cannot manage knowledge. When we talk about knowledge and innovation, we frequently commingle or confuse the concepts with data and information instead. Too often, we fool ourselves into thinking that we give kids knowledge when we are just testing them for what information they can repeat. To be clear: Data are bits and pieces here and there, from which we combine into information. Knowledge is about taking information and creating meaning at a personal level. We innovate when we take action with what we know to create new value. Understanding this difference exposes one of the greatest problems facing school management and teaching: While we are good at managing information, we simply cannot manage the knowledge in students’ heads without degrading it back to information. “The network is the learning” (Siemens, 2007). The emerging pedagogy of this century isn’t carefully planned. Rather, it’s developed fluidly. Our traversals across networks are our pathways to learning, and as the network expands, so does our learning. In connectivist approaches to learning, we connect our individual knowledges together to create new understandings. We share our experiences and create new (social) knowledge as a result. We must center on the ability of individuals to navigate this space and make connections on their own, discovering how their unique knowledge and talents can be contextualized to solve new problems. Some say these principles require a revolution to be realized. Others say we need massive innovation to make positive education futures a reality. We believe we need both, or as Ronald van den Hoff (2013) says: “What we really need is an innovution!” (p. 236). And, this is our noble quest: To innovute with not only our ideas, but also the purposive applications of what we have learned through our individual efforts, and together, globally. Share and sign the manifesto! The easiest way to show your support for this manifesto is to share it with your friends and colleagues. On Twitter, please use the hashtag #manifesto15. 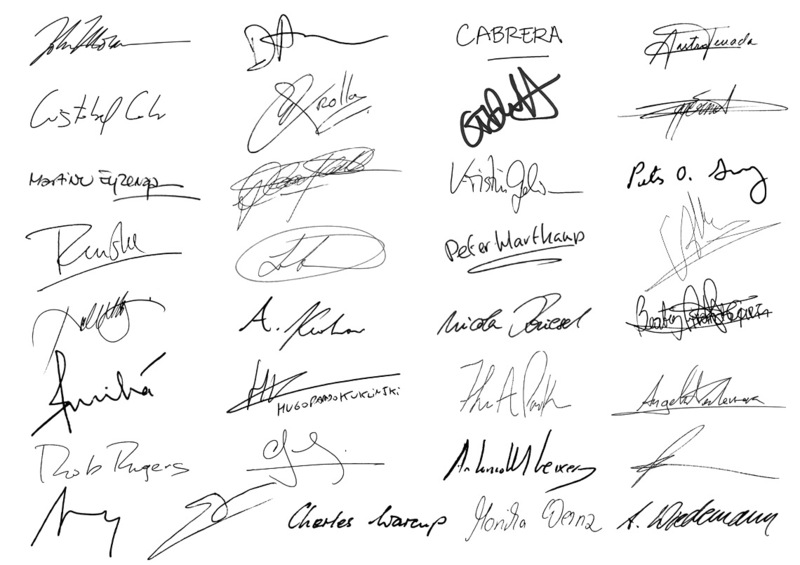 Gratitude goes to everybody who contributed their input to help make this document great, especially the initial signatories who provided early feedback and support for the final document. Gray, P. (2013). Free to learn. New York: Basic Books. Manifesto 15 by John Moravec et al is licensed under a Creative Commons Attribution 4.0 International License.